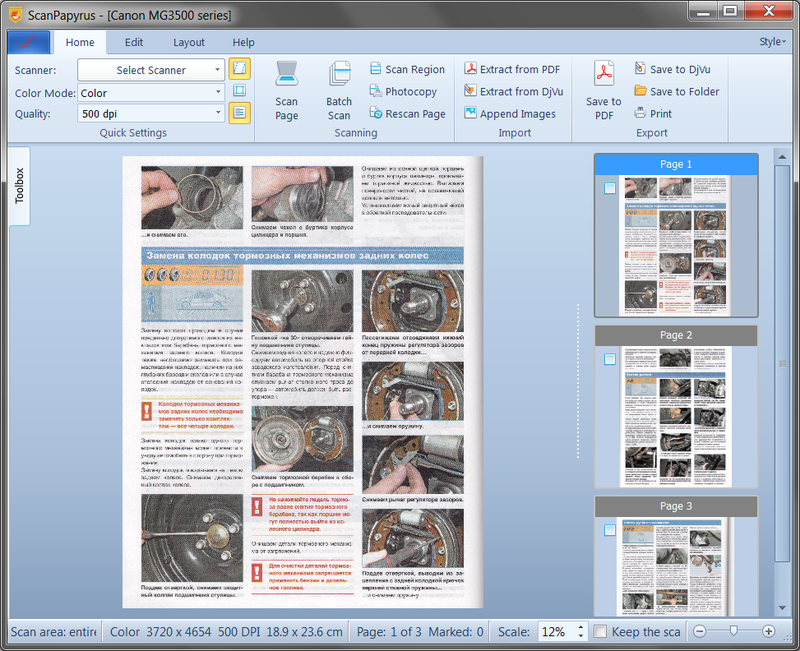 ScanPapyrus lets you quickly and effortlessly scan any paper documents, books, magazines, or photos! 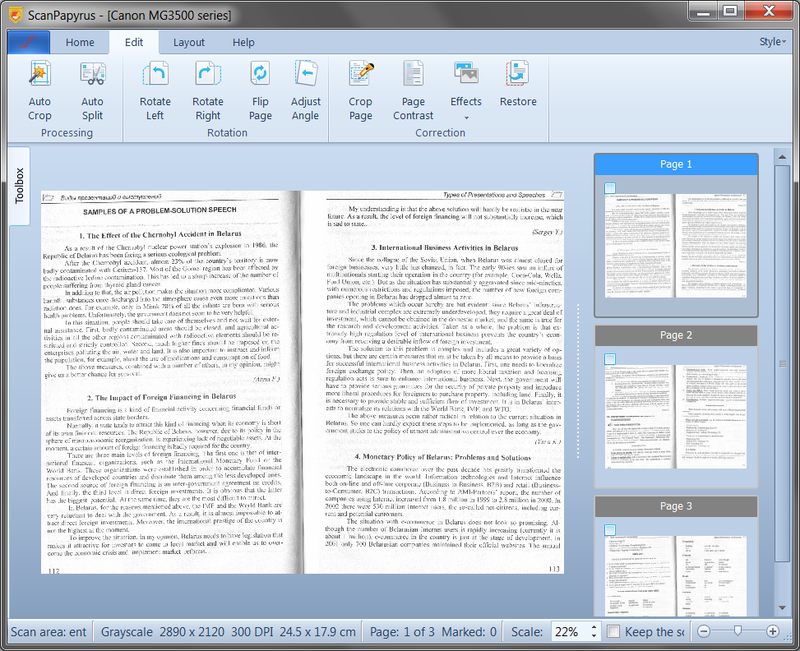 ScanPapyrus is a Windows desktop application for quick scanning of documents, books, or printed photos. Learn more about the features of ScanPapyrus. With ScanPapyrus, you can scan a document without moving back and forth between the scanner and the computer. Do you need to scan 10, 20, or 100 pages and save the scanned document to PDF? ScanPapyrus can help you do it more quickly and easily! Just set the time interval for ScanPapyrus to wait, before it scans the next page. In that time, you can turn the book page or change the document page on the scanner, and ScanPapyrus will automatically scan the next page. With ScanPapyrus, you can scan two pages at once. This means you can create high-quality digital copies of your books in half the time! Now you don’t need to scan each book page separately. Just scan a book spread, and ScanPapyrus will automatically split the scanned image into two pages. With ScanPapyrus, you can both improve scan quality and scan documents more quickly! Was the page placed crooked on the scanner glass? No problem: ScanPapyrus will automatically deskew the scanned image! Is the scanner lid ajar? Don’t worry, ScanPapyrus can easily remove the black strips around the edge of each scanned image. It can increase the text sharpness, automatically adjust the contrast, cut off the unnecessary edges, and clean up a grayish page background by replacing it with a white one. With ScanPapyrus, you can use your scanner’s automatic document feeder (ADF) to quickly scan a stack of paper. 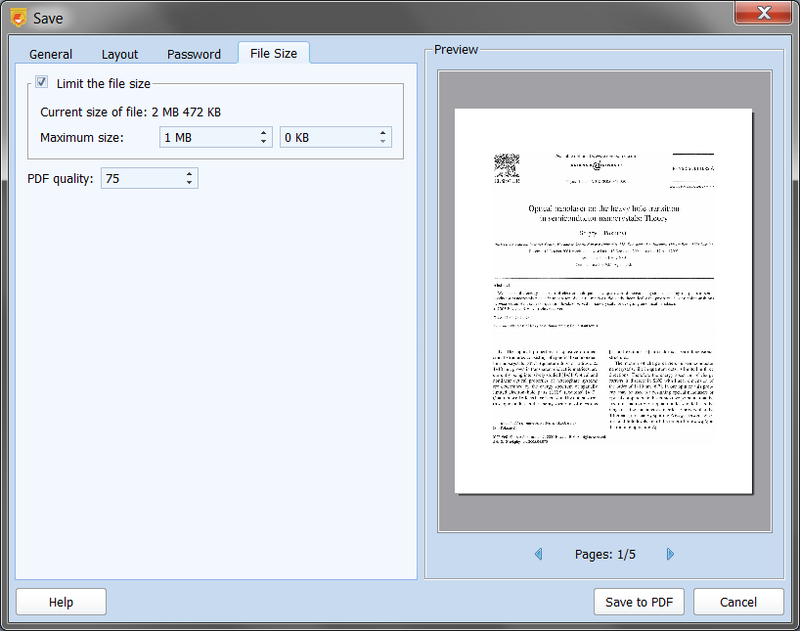 ScanPapyrus can automatically select the paper source for a scanner which has an ADF. If one or more sheets have been loaded into the feeder, ScanPapyrus will scan using the ADF; otherwise, it will scan the sheet on the scanner glass. ScanPapyrus also supports duplex (two-sided) scanning. ScanPapyrus recognizes page numbers and automatically sorts pages in the proper order. This means you can scan pages in any order! For example, you can unbind a book and scan all of its loose pages. 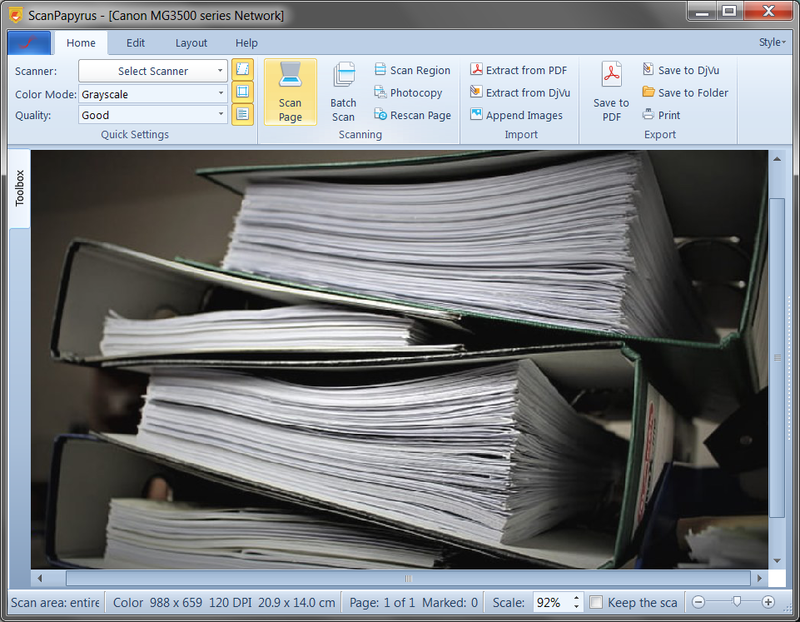 Or, when scanning a document using an ADF, you can scan one side of each sheets together, and then the other side. After that, ScanPapyrus will easily restore the proper page order. This way, you can quickly create a digital document in PDF format with all pages back in order. 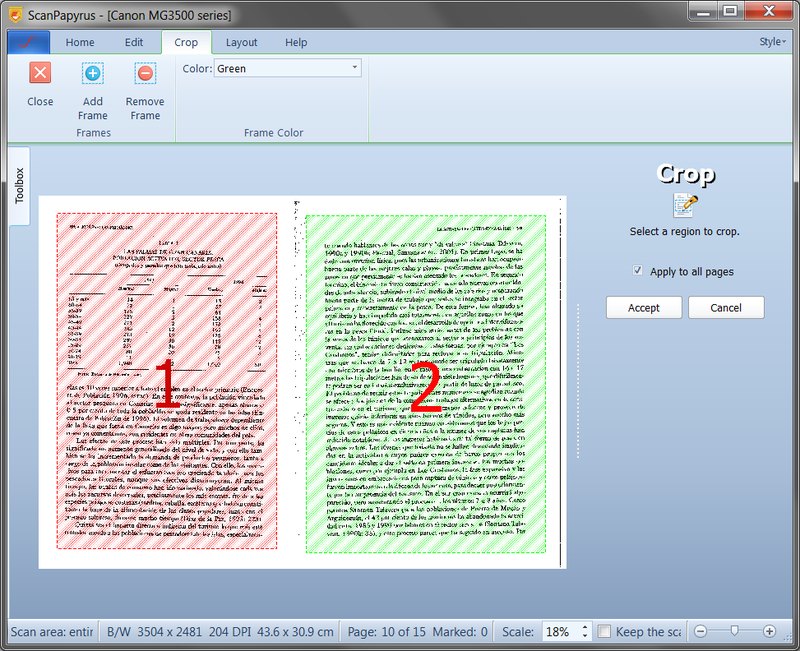 With ScanPapyrus, you can process multiple pages at once. You don’t need to apply adjustments individually to each page, because ScanPapyrus allows you to apply a group adjustment operation to multiple pages at once! For example, you can manually select a cropping area on one page, and then apply the same operation to all pages in the project. Likewise, you can apply automatic cropping, automatic contrast adjustment, automatic splitting of a pair of facing pages into two single pages, or other operations to multiple pages. 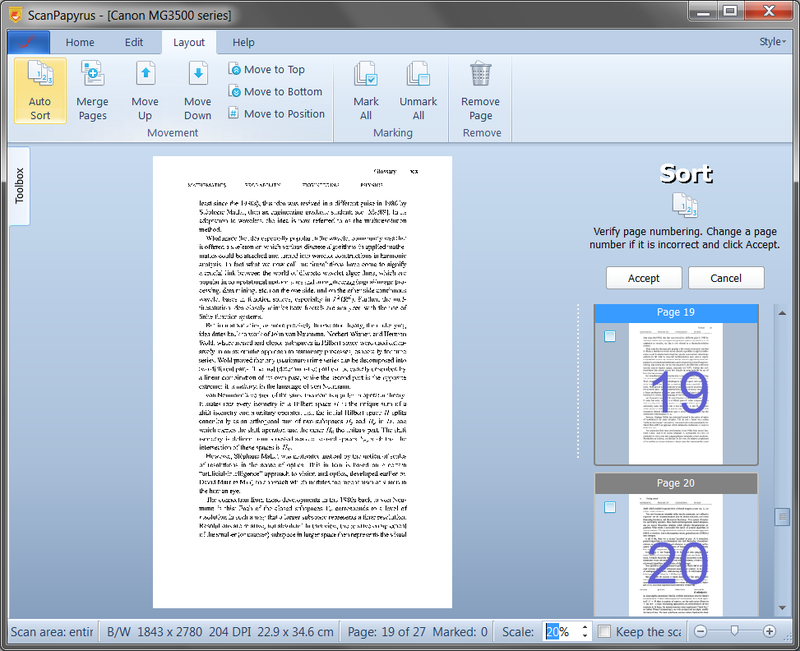 With ScanPapyrus, you can easily save a scanned document to PDF. Lots of settings are available when exporting to PDF: automatic detection of page orientation, extended page scaling and page positioning, created document counting, password protection, and many more. 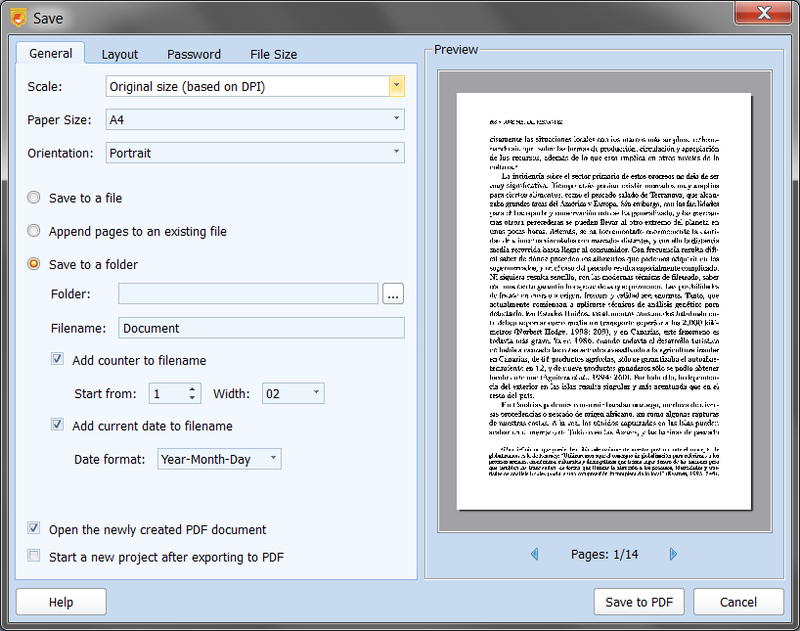 You can also open an existing PDF document and change it. For example, you can add or delete pages, change the page order, enhance the quality of the pages, and then resave the PDF document. Some online services, such as banks and the internal revenue service (IRS), set a limit on the size of each submitted PDF file. ScanPapyrus can compress a PDF document to your specified file size. When creating a PDF document, simply specify the desired output file size (for example, 2 MB), and ScanPapyrus will compress each document page to keep the file size within that limit. ScanPapyrus can also compress your existing PDF documents. Just open them in ScanPapyrus, and then save them to PDF with compression. 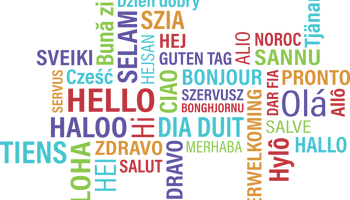 ScanPapyrus supports a variety of languages: English, German, French, Italian, Dutch, Spanish, Portuguese, Swedish, Finnish, Polish, Czech, Slovenian, Estonian, Russian, Belarusian, Hungarian, Armenian, Chinese, Turkish, and Arabic. You can find a detailed description of ScanPapyrus on our website. The ScanPapyrus help system contains a detailed description of ScanPapyrus and all of its features. Read articles on ScanPapyrus to learn more about its full range of uses. Learn about the latest updates in the newest version of ScanPapyrus. ScanPapyrus is compatible with all kinds of flatbed scanners and multifunction devices, including Epson, Canon, Hewlett-Packard, Brother, Samsung, Xerox, and Mustek. It’s easy to install ScanPapyrus. You can install it like any other Windows application. ScanPapyrus is compatible with Windows 2000, Windows XP, Windows Vista, Windows 7, Windows 8/8.1, and Windows 10. It supports both 32-bit and 64-bit editions of Windows. We provide technical support to any ScanPapyrus users, even those who are not registered. Just send your question to our email address, and we’ll answer you as quickly as possible. Thousands of people and businesses all over the world have chosen ScanPapyrus as their everyday scanning application. ScanPapyrus is also used in government agencies and private companies. ScanPapyrus Team develops home and office applications for Windows. Our programs are known for their high quality, user-friendliness and comprehensive design.